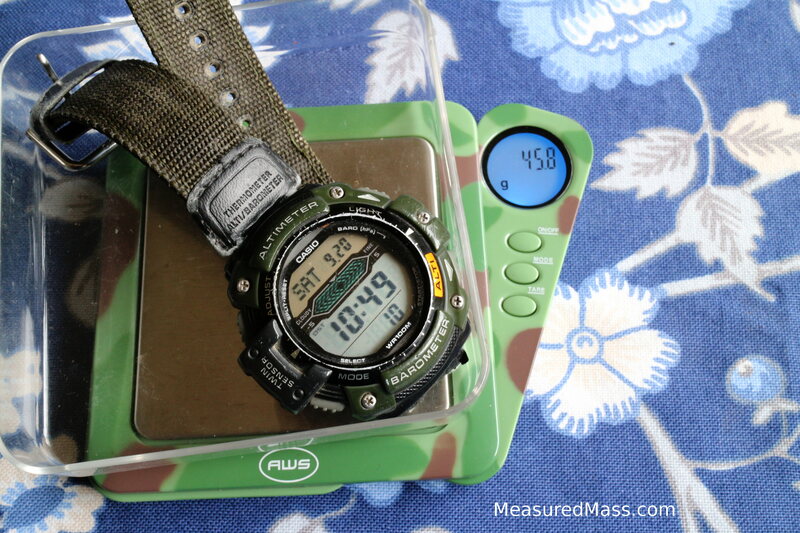 Need an altimeter/barometer watch? This is it. Tough, accurate, gets it done. It’s been $40-50 for years; at that price, it’s much easier to wear it in abrasive environments. The tool you bring is more useful than one you coddle. My SGW-300H, after a couple years of wear. I liked mine enough to give a second as a gift after a few years, so we have two at home. 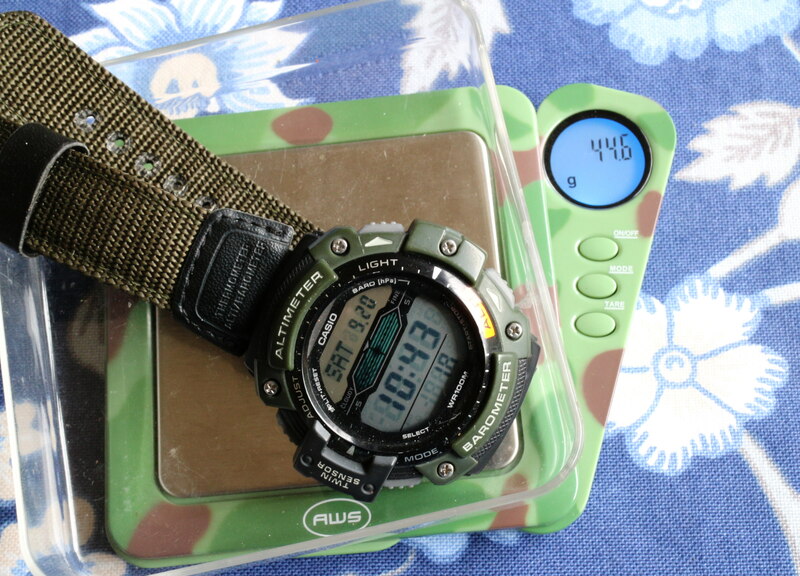 Susan’s a runner and favors running-featured watches for daily wear, so this one has only been on a few mountain trips. The watch at left has seen years of wear, the one on the right very little. The left hand watch runs 10-15 seconds a month fast, and I’ve let it accrue (it’s easy to be on time when your watch is fast!). The altimeter resolution is 20 feet, and the usable uncertainty seems to have more to do with natural atmospheric pressure variation than any sensor noise. Sure, it can’t tell if you walk up a flight of stairs, but for mountain navigation, such resolution is irrelevant in the presence of natural pressure change. I’ve destroyed three mountain watches from other manufacturers in the last decade with water intrusion, abrasion, and rockfall. This one’s waterproof, you can push buttons underwater, it’s inexpensive, and it’s tough. 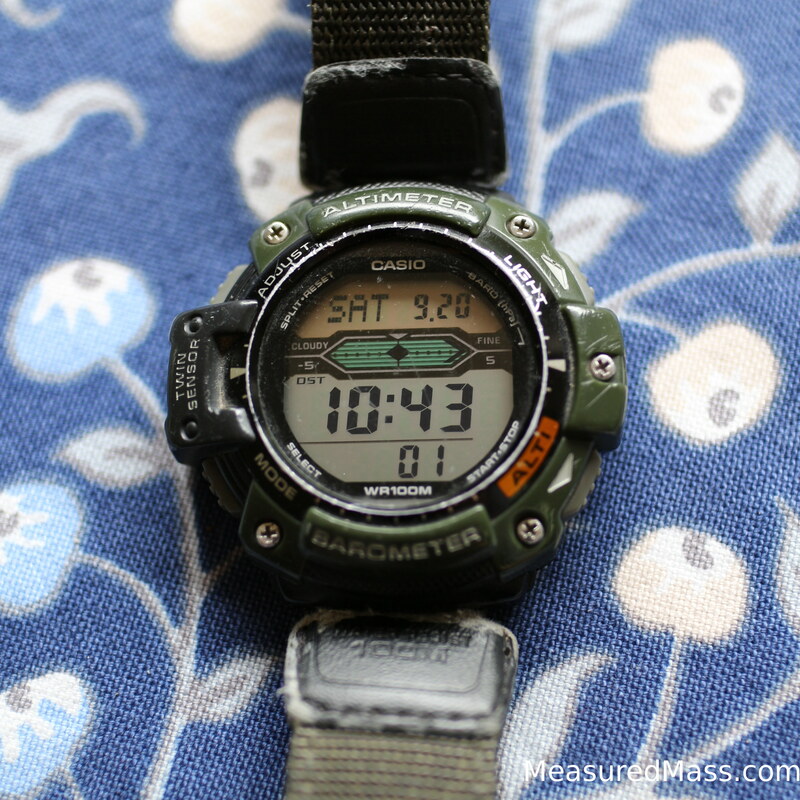 Thank you, Casio, for making a great product. The only con? The watchbands wear out; I’ve met another person with the same experience. That shouldn’t dissuade anyone from the watch. Like REI’s Flash 18, an inexpensive product can be as good as or better than competitors at more than twice the price. 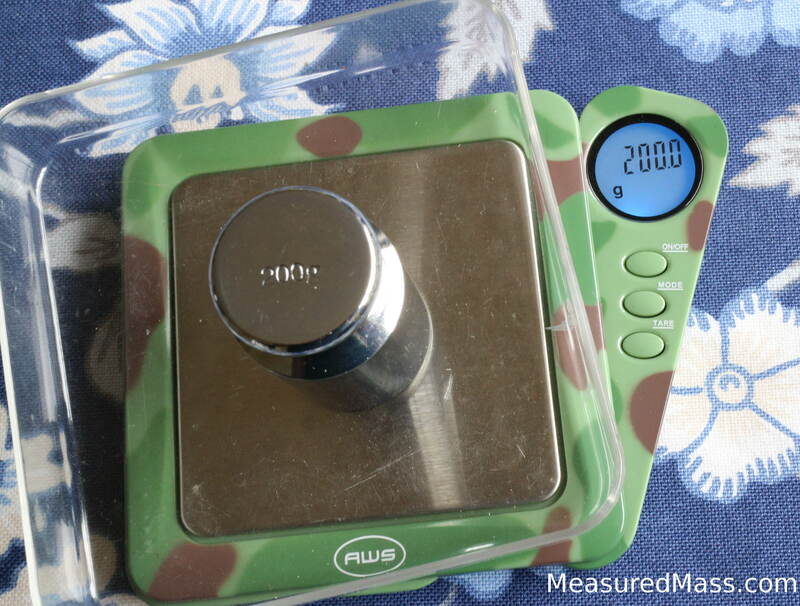 This being MeasuredMass.com, I did weigh them, but given that they’re both worn, one more than the other, I won’t make any strong statements about mass. 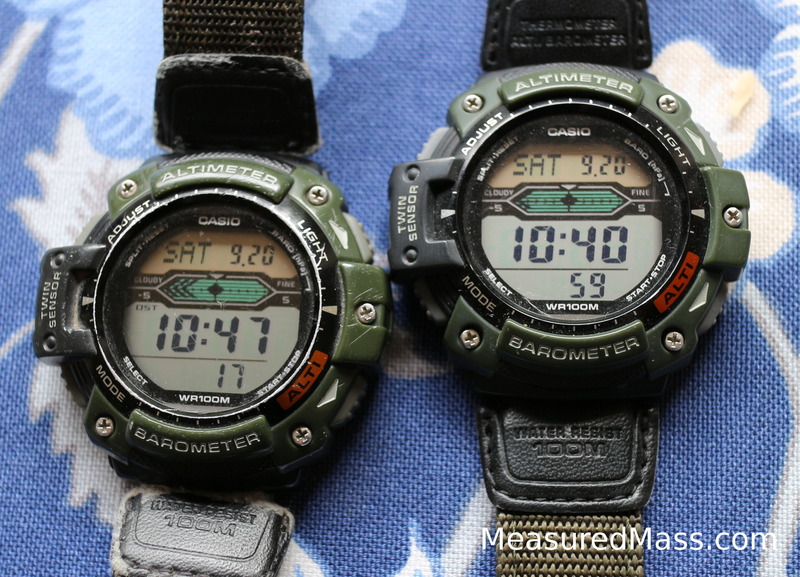 The worn one was 45.8g, and the newer one 44.6. This is indeed a great, robust, and functional watch. I used it canyoneering in New Zealand, perfect for route navigation to find the entrances via topographic height using the altimeter. Unfortunately I left it in the hotel, but I will buy another! Cheap and gets the same job done as watches 10X the price.